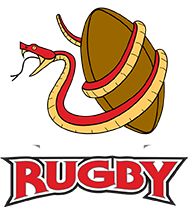 The Raleigh Rugby Football Club is always looking to help support the community and is always interested in providing a way for businesses and individuals to participate in our club’s vision by becoming a sponsor. We encourage you to consider becoming a club sponsor to partner with the club in growing the sport of rugby in the Triangle area. Sponsorships are available for individuals and businesses at several standard levels and custom packages can also be negotiated. Sponsorship packages may include Billboards at the RRFC world class rugby facility, marketing materials and links on the RRFC website, ads in RRFC printed materials, newsletters, special events, company logo on team wear (shirts, jerseys, etc.) and more. For more details, please take a look at our sponsorship packet below and contact us if you’re interested in gaining more information.